"Eli, Eli!" he groaned, or a petition to Helios? He knew from whence came such help. that cracked the sky at midwinter dawn. 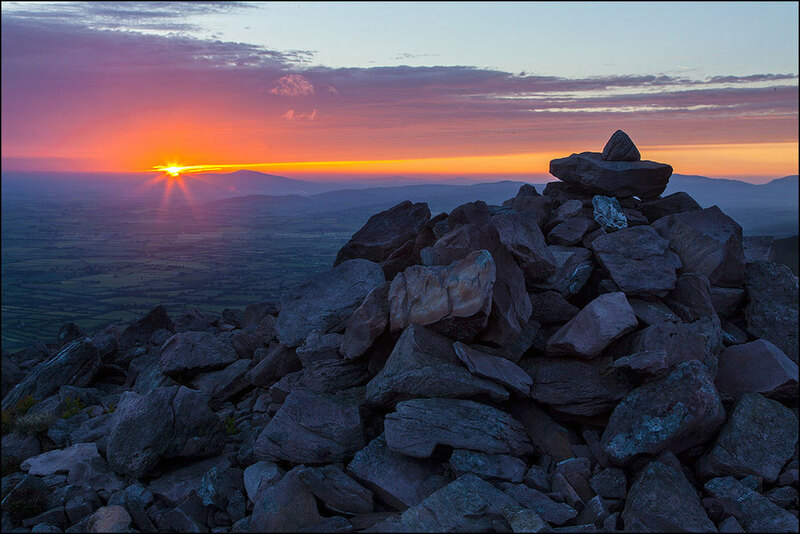 Sunrise over Slievenaman, photo by John Finn. This work is licensed under a Creative Commons Attribution-NonCommercial-NoDerivs 2.0 Generic License.